As we approach the Easter holidays and look forward to some Spring sunshine, our thoughts turn to days out and exploring the Staffordshire countryside and all the exciting activities going on this year. Here are a few we thought you may like to try whilst you are staying with us or thinking about taking a well earned break. The National Forest Adventure Farm- about 45 minutes drive . 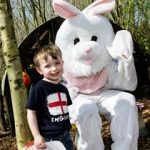 Has a host of activities to keep the whole family entertained including woodland walks treasure hunts, meeting the new born lambs, and rides on the easter eggspress. Claymills Victorian Pumping Station-about 45 minutes drive. One of Britain’s largest restored Victorian steam pumping stations. Children can start a steam engine, follow a rat trail or try model making. A fascinating day out for the family. Churnet Valley Railway- 20 minutes drive. The steam railway takes you on a journey back to the classic days of railway travel on a rural line that passes through beautiful countryside known as “Little Switzerland” . There is an excellent tea room with a coal fire on chilly days. Open on various days/weekends throughout the year. Thorswood Nature Reserve- about 35 minutes drive . 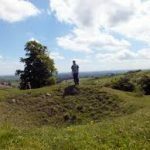 If you are interested in wildflowers, landscape history or looking for a picnic spot of just want to enjoy a quiet place, then Thorswood is the ideal place. RAF Cosford near Shifnal- about 1 hour’s drive. Celebrate the foundation of the RAF in its centenary year with a nostalgic weekend of events and activities for the whole family to enjoy. During this site wide event visitors will walk through history, exploring the 100 years of the RAF, brought to life by re-enactors, vehicles, music and family activities. We hope you enjoy our selection, there are many more places to visit , the list is almost endless ! Please visit the websites of the above for more information about opening times, prices etc.